Dolezych presses cylindrically as a default. The conical pressing as per DIN EN 13411-3 shape C is carried out on request with specially made ferrules. Benefits result from pulling under the load, as nothing can snag. 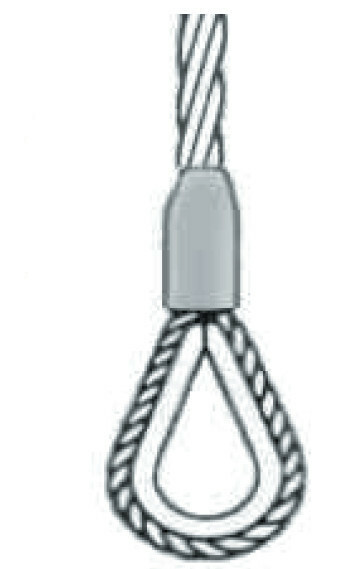 In the procurement, wire rope slings of normal design have a price factor of 1. 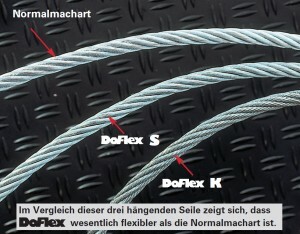 Flexible wire rope slings DoFlex “S“ have 1.5 times the price and DoFlex “K“ about 2.5. As regards the lifecycle, DoFlex “S“ are superior to normal designs by the factor of 2 and compared to cable laid designs by a factor of 6. The initially higher investment is therefore worth it after only a short period, in the illustration already after the 3rd investment in a rope of normal design. 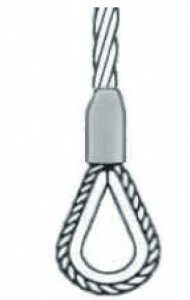 With the 6×61 IWRC rope construction, you have a very flexible full steel rope which is significantly superior to a standard rope sling with fibre core as regards the breaking force. 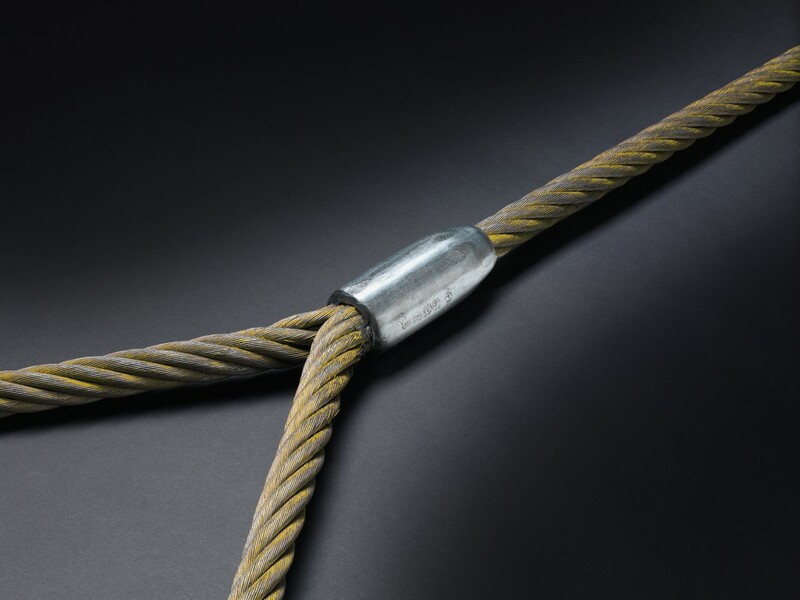 The selected wire strength of 1,960 N/mm2 supports the requirement for a high breaking force. The „Flemish Eye“ press connection provides a solid steel clamp with high abrasion resistance. The cone form of the splicing prevents jamming of the lifting element when pushing through under the load. The rope slings are made completely according to the European color code as known with web slings and round slings (DBGM). With the three measurement in the easily distinguishable traffic-light colors green, amber and red and a load capacity from 2 to 5 t, the range of usual transport tasks is covered. Steel wire rope slings with 2 spiced eyes made from the flexible 6 x 37 + FC rope type in galvanized variant. DIN EN 13411-2 provides instructions for the execution of the splice in addition to specifying the requirements for the splicer and the necessary tests. Spliced connections have the advantage that they are very flexible. 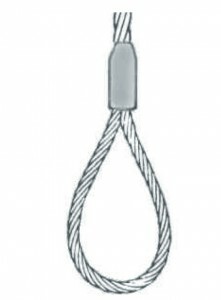 Hence, for example, an unloaded spliced rope can be pulled out from under a load that is seated tightly against the side of a vessel. 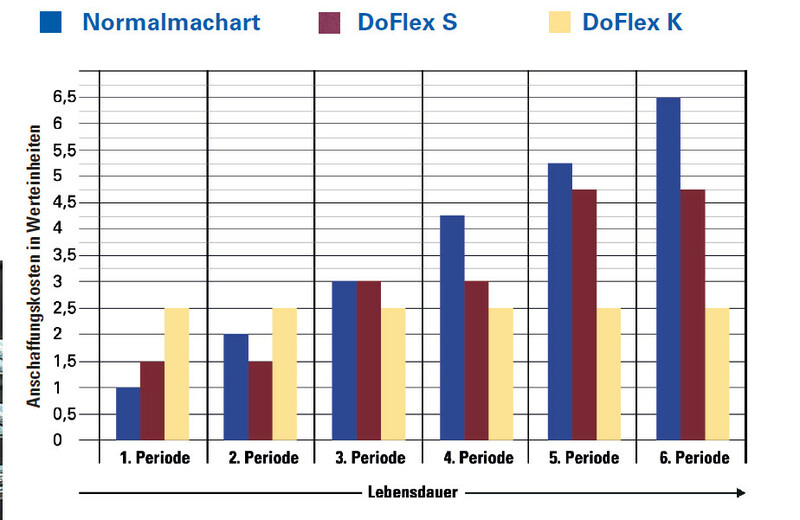 Of course splices – like all other end fittings – may not be bent under load. The splices are covered (not shown in the picture) with lanyard strands or shrink tape in order to avoid hand injuries. 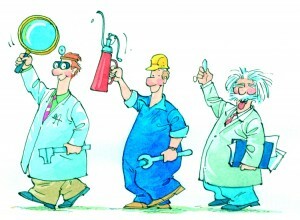 Haven’t found the right wire rope, yet?